A week of Ardennes Classics comes to a close this Sunday (April 26) with Liege-Bastogne-Liege, the most sought-after race of the three. As the only one to possess the status of a monument, Liege-Bastogne-Liege features all the ingredients that constitute a prestigious race. To begin with, there’s its age. Having been first held way back in 1892, it is the oldest classic of them all, as proudly exhibited in its nickname – ‘La Doyenne’ translates as ‘The Oldest’. Then there’s its length. Whereas most classics tend to last somewhere near the 200km mark, the monuments all contain at least another 50km or so of riding, ensuring that only the toughest and well-prepared can still compete come the finale. This year’s Liege-Bastogne-Liege is slightly shorter than usual, but still amounts to a fearsome 253km that will ensure everyone’s legs will sting come the final climbs. The added length also helps preserve the race’s status as one of the most difficult on the calendar, another distinguishing factor that makes the monuments so special. 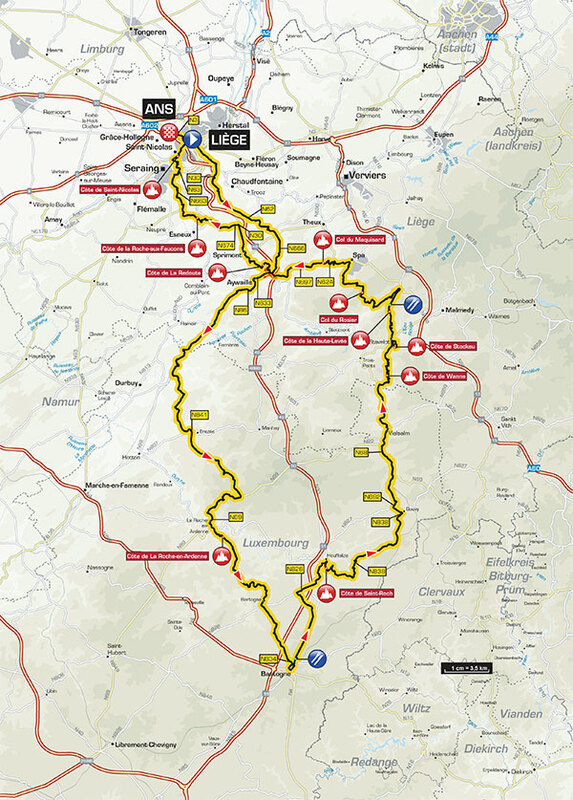 There will be no huge group of the sort that arrived at the bottom of the Mur de Huy at Fleche Wallonne yesterday – the climbs that punctuate the route are all steep and relatively long, and are sure to force a selection before the finale. 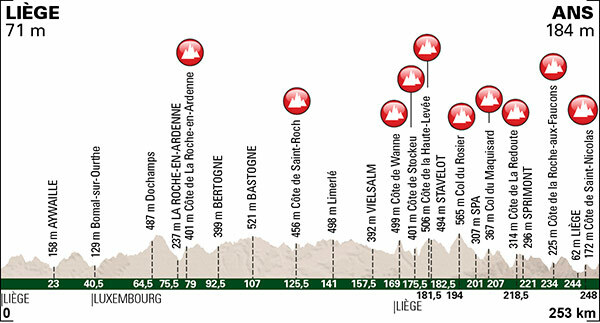 Partly because of this, Liege-Bastogne-Liege also tends to be the most exciting of the three. 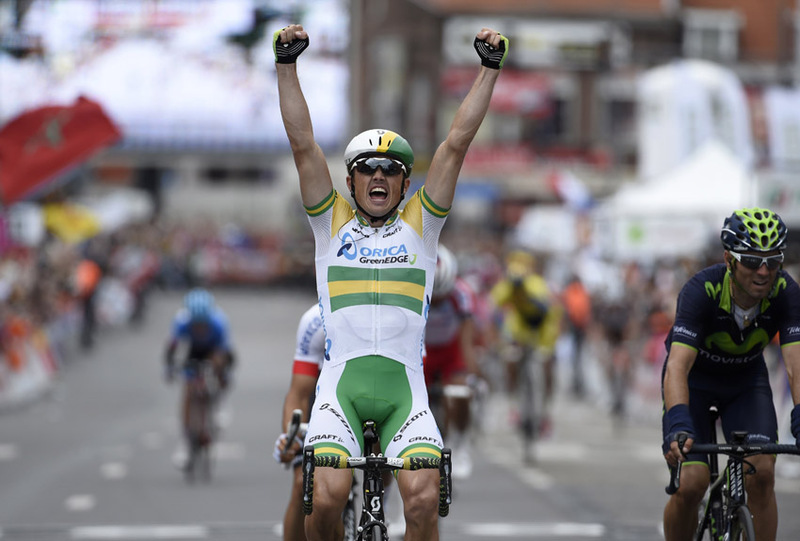 Whereas Amstel Gold and Fleche Wallonne almost always boil down to their respective final climbs of the Cauberg and Mur de Huy, the parcours of La Doyenne throws up varying, unpredictable scenarios year-on-year; in 2014 everything came down to a large sprint at the finish won by Simon Gerrans; the year before last was won by a late attack from Dan Martin; 2012 saw a long distance attack from Vincenzo Nibali reeled in with just 1km to go by a counter attack from Maxim Iglinsky; a group of three contested the finishing sprint in 2011; a group of two in 2010; and Andy Schleck’s long distance attack paid off in 2009. That said, the first 200km are still likely to produce more of a war of attrition than exciting racing, as riders will seek to preserve their energy rather than make any ambitiously early attacks. A slight reshuffle sees the Col du Rosier and the Col du Maquisard added as the race’s sixth and seventh climbs, but neither look difficult enough to play a key part in shaping proceedings. Instead, the final three ascents will probably be where the race is won and lost. The most difficult of all – La Redoute – comes with 35km to go, and will instigate attacks, although in recent editions the favourites have tended to wait for the Rouche-aux-Faucons (19km from the finish) and the Saint-Nicolas (5km from the finish). 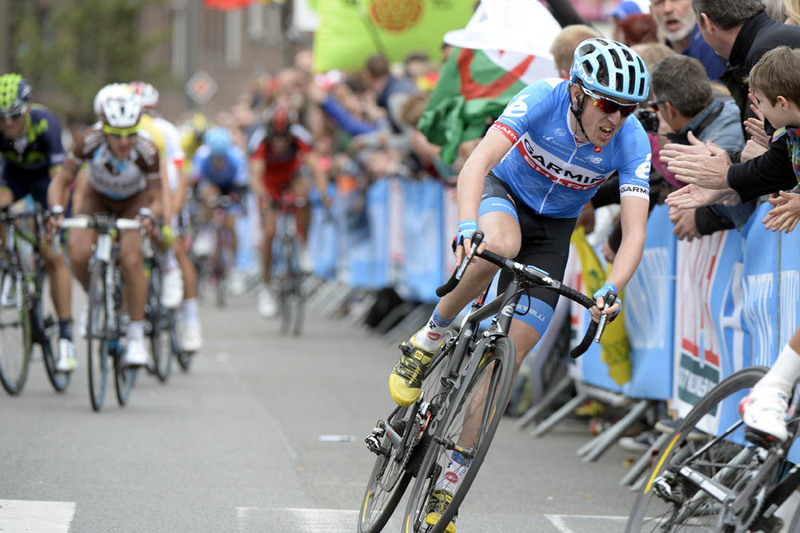 The finish in Ans is uphill but not nearly as steep as the Cauberg and Mur de Huy, meaning riders usually make their move beforehand (with the notable exception of last year). Team Sky will again come into the race with a squad full of strong riders (Sergio Henao, Lars Petter Nordhaug, Peter Kennaugh, Chris Froome etc) but no obvious leader, while Britain’s Simon Yates will again hope to make an impression for Orica-GreenEdge despite not featuring in the finale of Fleche Wallonne. But Liege-Bastogne-Liege is not the kind of race usually won by an outsider, someone off-form or with a lack of experience. Only a select few will go into Sunday with a decent chance of winning, and – unusually for a big cycling race these days – no Brits appear to be among them. British Eurosport will be broadcasting the race live from 13:15, with highlights on British Eurosport 2 in the evening.